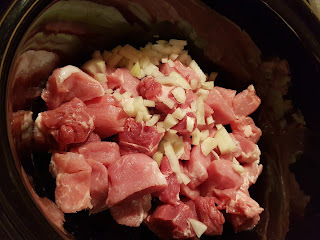 It's been too long since I posted (shame on me) so I decided to start with an easy dish that I routinely use for pot-lucks and lunches for the week. While I use boneless pork as the base for this dish, you could easily substitute ribs and any cut of chicken. 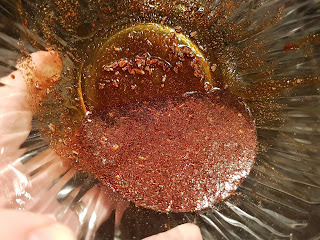 If you don't like certain spices, leave them out. No maple syrup? Use maple flavoured pancake syrup. 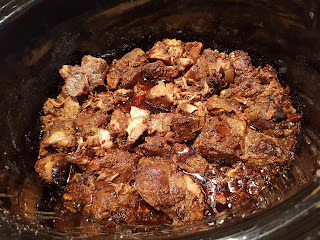 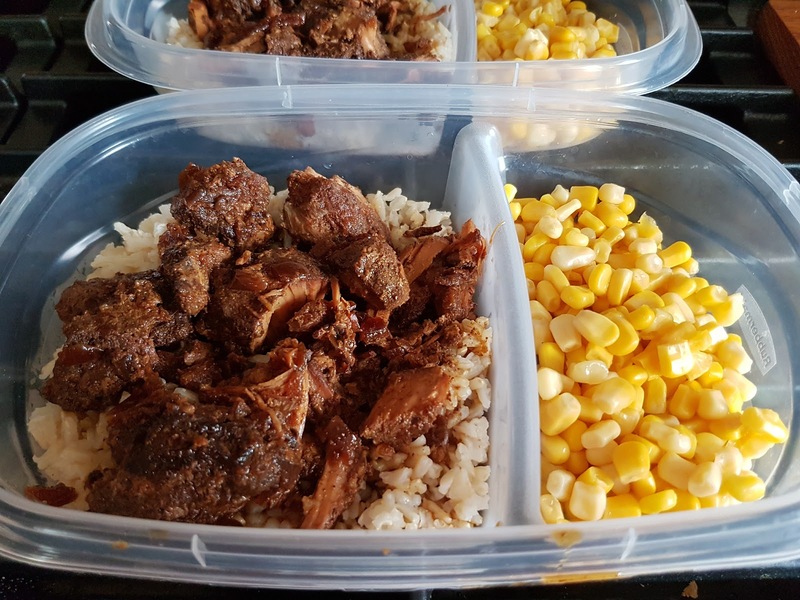 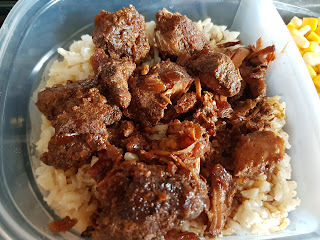 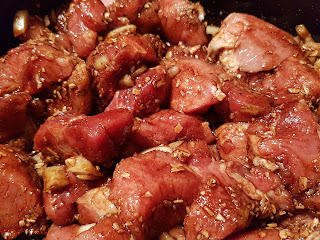 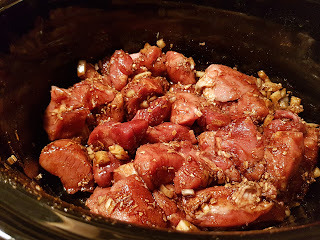 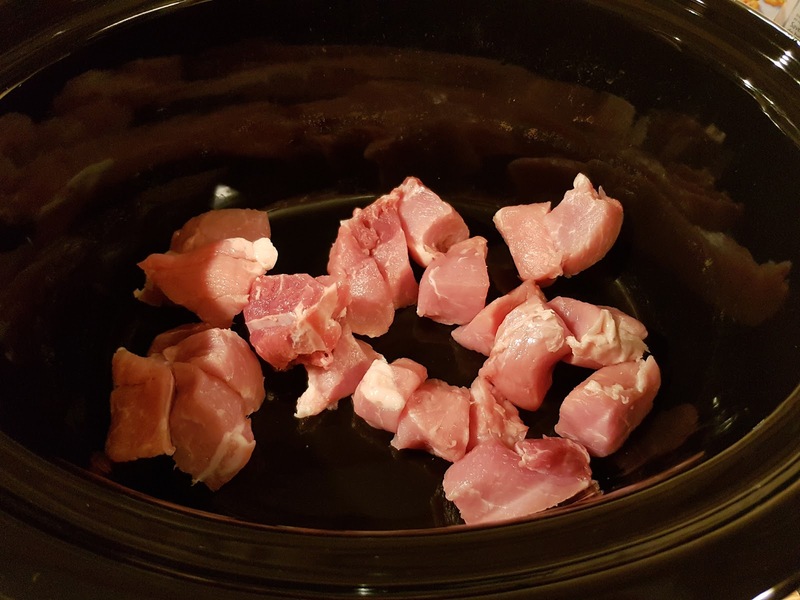 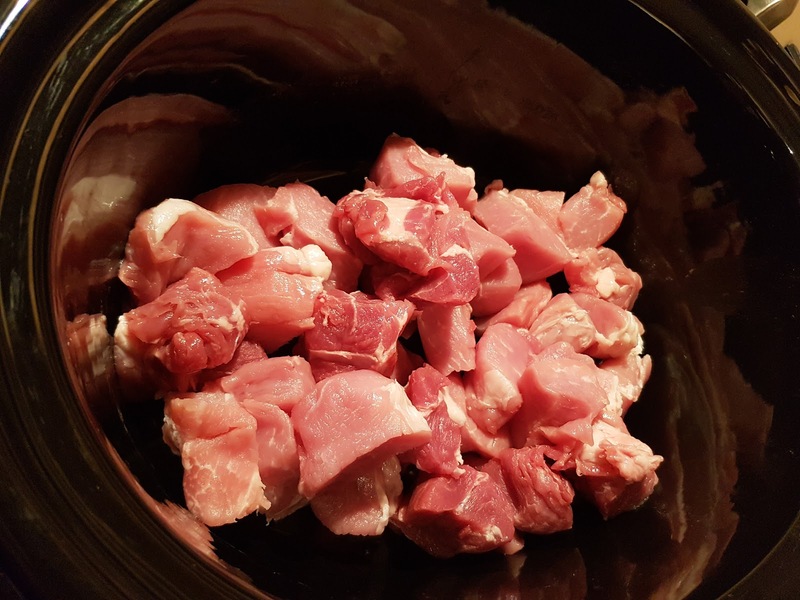 Chop pork in to slightly larger than bite sized pieces and place in bottom of slow cooker. Combine all of liquid ingredients and spices in a bowl. Pour liquid over the pork. 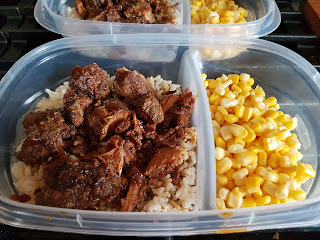 Cook on low for 7-8 hours. 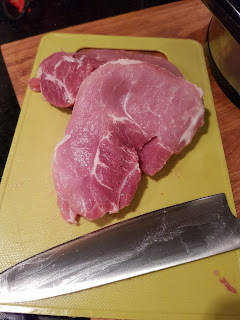 Pork will fall apart when you run a fork through it. 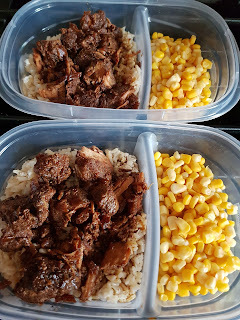 I serve with rice and veg. 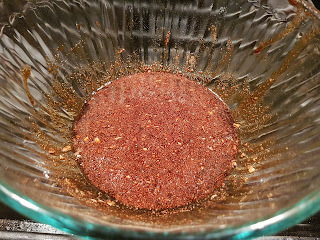 You could easily use a broad noodle too.